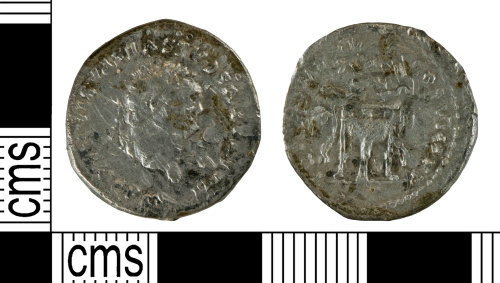 A silver denarius of Titus dating to the period AD 79 - 80 (Reece Period 4). TR P IX IMP XV COS VIII P P reverse type depicting dolphin in tripod. Mint of Rome.